Effectively communicating climate change is a challenge. 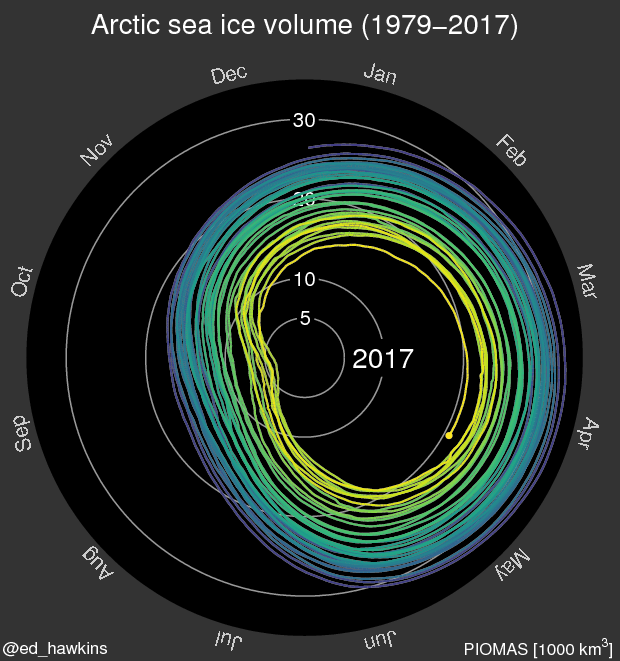 The animated climate spiral is a different way to show the historically observed changes and resonates with a broad audience. The original version quickly went viral, being seen millions of times on facebook and twitter. A version was even used in the opening ceremony of the Rio Olympics! 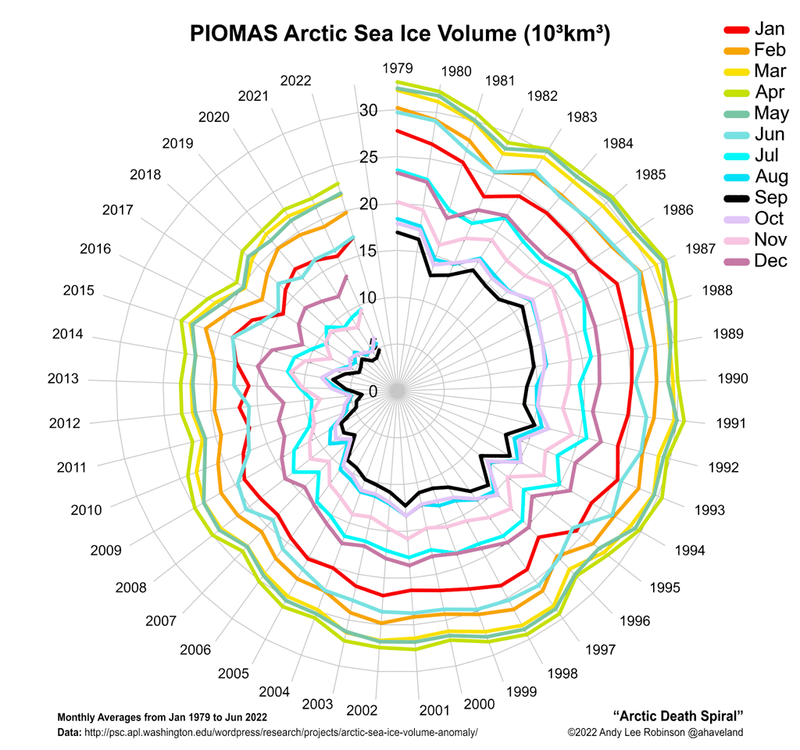 This page will provide regularly updated versions of the climate spiral for several different aspects of the climate. 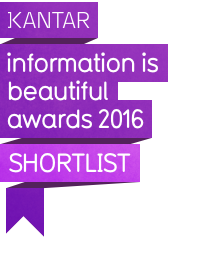 The graphics are free to use with appropriate credit – just click the links for the full versions to download. Several people suggested a 3d version of the spiral with the third dimension representing time. 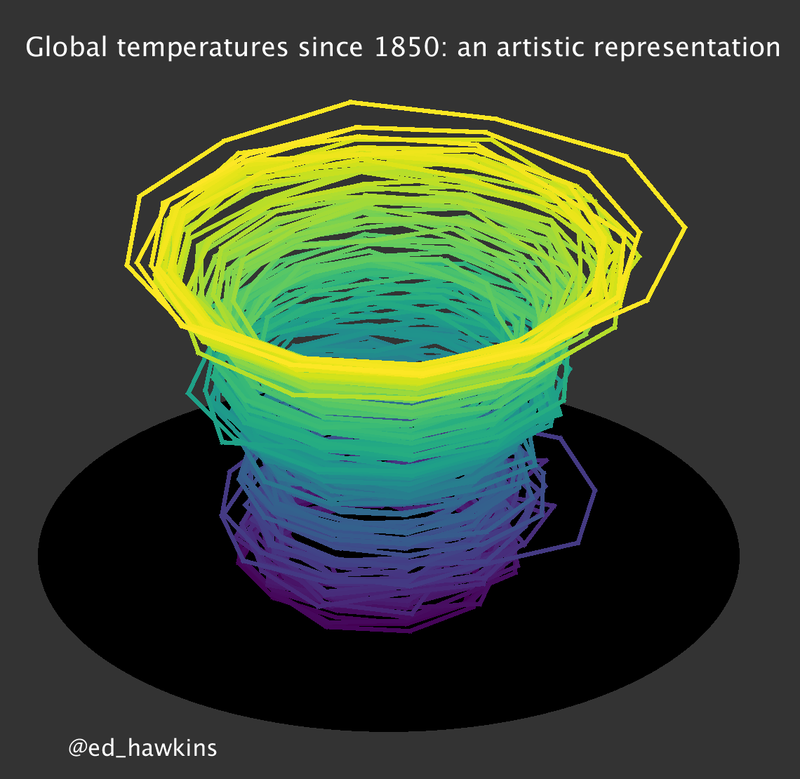 This visualisation is fun but harder to interpret quantitatively, and is more of an artistic representation of global temperatures. 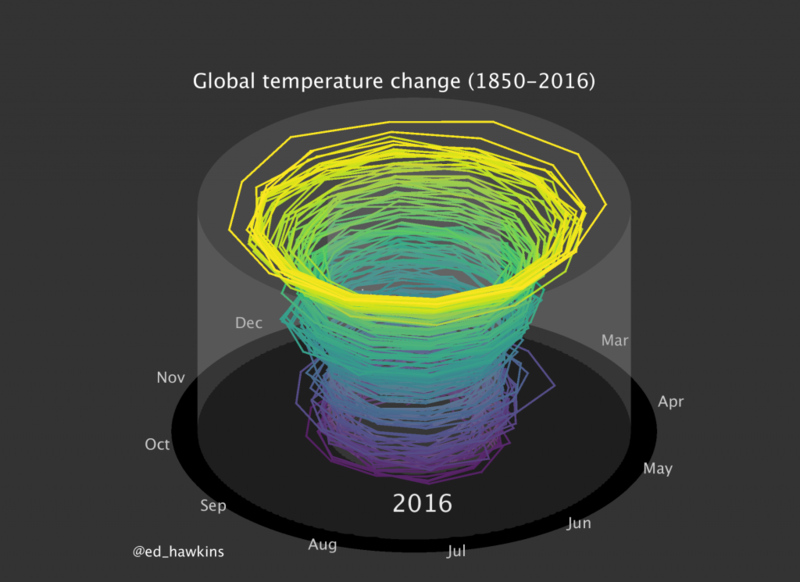 Jay Alder from the USGS has created a similar spiral visualisation for a climate model simulation for the historical period and the future, assuming high future emissions. 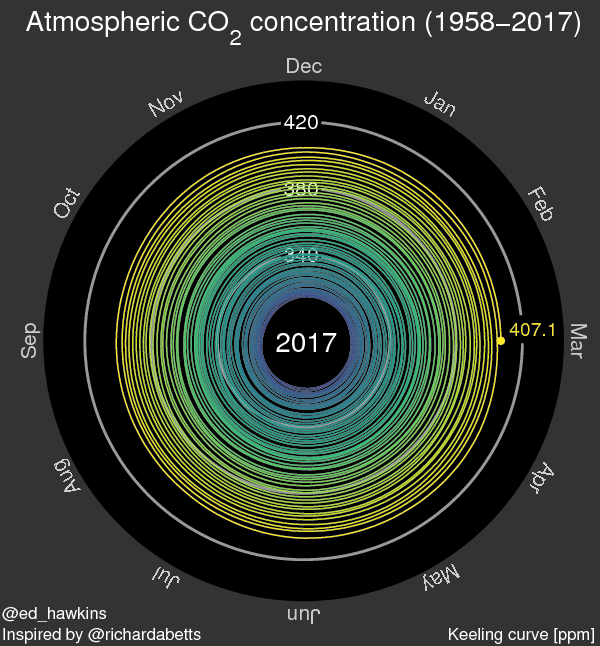 Malte Meinshausen and Robert Gieseke have produced an excellent interactive tool and set of videos for exploring spirals of global temperature, carbon budgets and atmospheric carbon dioxide concentrations. 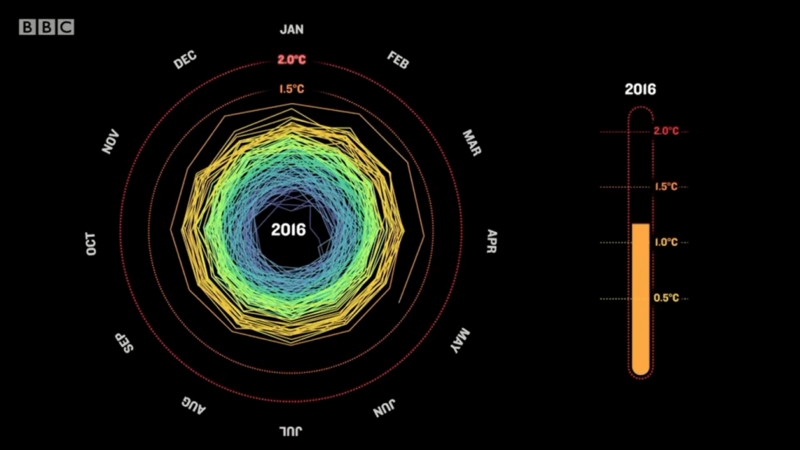 The Rio 2016 Olympics featured climate change during the Opening Ceremony, and included a spiral representation of global temperature change.